Technology has surpassed thresholds with its ever developing phenomenon. It has managed to make its reach to higher and diversified formats thereby providing better convenience to the masses. One of its insights has been in the field of marketing. There have been lots of developments in the marketing world during the recent years. With the commercial sector getting more aggressive, every enterprise now wants to market its products directly to the people. No doubt, there have been various strategies for such a purpose, but this is now even more possible through the use of incredible technique which has been termed as beacon. This method after its evolution has resulted in the revolutionary transformation among the fraternities. These are small sections of hardware which are utilized to transmit messages and directions directly to smart phones within a specific range through the use of Bluetooth technology. Beacons have emerged as a better alternative when the specific niches like retailers, enterprises, institutions and other organizations want to converse virtually with the people. Let’s consider an instance. A consumer is in a mall for shopping and while he passes across your store; his smart phone instantly receives a discount offer! This is what one of aspects of beacons. Apart from this, beacons have also been implemented for other arrays of other purposes. They could be very well used for offline contactless payment system especially in the retail stores in order to expedite the checkout process. And if we consider past retail marketing, then beacons have also turned out useful in the sectors such as airports along with ground transit hub for the proper management of check-in process and to provide updates on passenger’s smart phone regarding departures and delays of flights. Likewise concert venues, theme parks, museums and many more sectors could be integrated with beacons technology. Conversely some of the brands like PayPal, Qualcomm, Estimote, Swirl and GEShopper have adopted the beacon management platform. The various incorporated feature of beacons go truly advantageous to you as an entrepreneur. Further, Apple has taken a step by introducing this technique to receive beacon signals into its smart phones through the application known as iBeacons. This is a promising technique which could be used for various ecommerce applications. It is a standard technology acquired by Apple which permits mobile apps to receive messages from beacons implementing the effective technique of Bluetooth Low Energy or BLE. Keeping up with iBeacon, this technique has been specifically designed for mobile apps to determine the exact position of application enabled gadgets thus delivering small data packets or information based upon the location. Any iBeacon installed smartphone when comes in the range of beacon equipped area then it responds to the received signals. Other than that, Android 4.3 and higher versions are also well supported with BLE technology. No doubt, major ratio of people use smartphones today. Hence the gadgets appended with iBeacons prove out a beneficial aspect for the entrepreneurs. You could easily convey or advertise your product to the people available in range of your beacon enabled retail stores. This enables the people to know about the associated services, products, offers and other information. Thus, this technology provides you the opportunity to cover as much people within the range of your store to convert them into prospective consumers. To consider real world references, many stores like that of Lord & Taylor stores in United States and Hudson’s Bay stores in Canada have acquired this exclusive in-store marketing through smartphones. 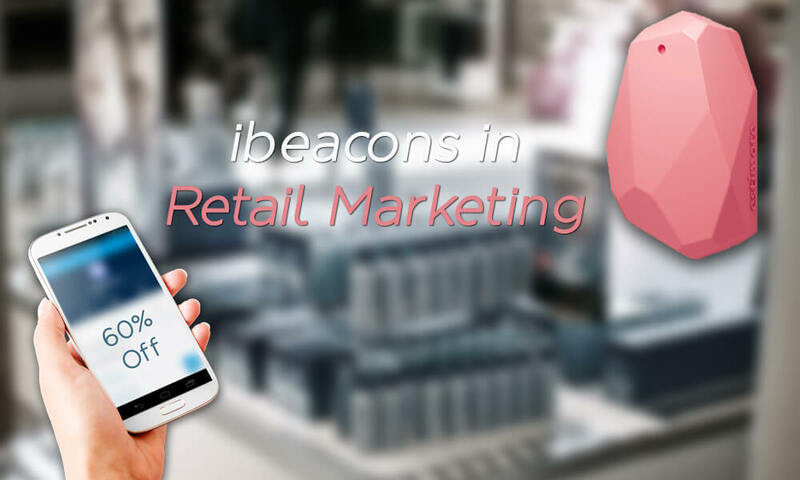 iBeacon because of its assorted features is gradually getting into the mainstream of marketing. It’s progressively getting well accredited by the people. As an entrepreneur, you could instantly send notifications, alerts, greetings and schemes. This is a sort of location based marketing method of its own kind. Besides getting alerts, iBeacons also result in creation of maps and locations. One of the surprising features of this application is that it could display 3D view of the object regarding its appearance in actual. The technology could be stated as a big leap towards new methods of marketing techniques. Furthermore, with the effect of this technology, you could expect for a probable rise in the growth of your store’s sales. Meanwhile iBeacons is in its testing stage but still it has shown favorable results specifically for the entrepreneurs. Apparently, once this technology comes to the trend, it would establish better interaction medium between the retailers and shoppers. The marketing experts too consider it as one of the acute options for future marketing trends.